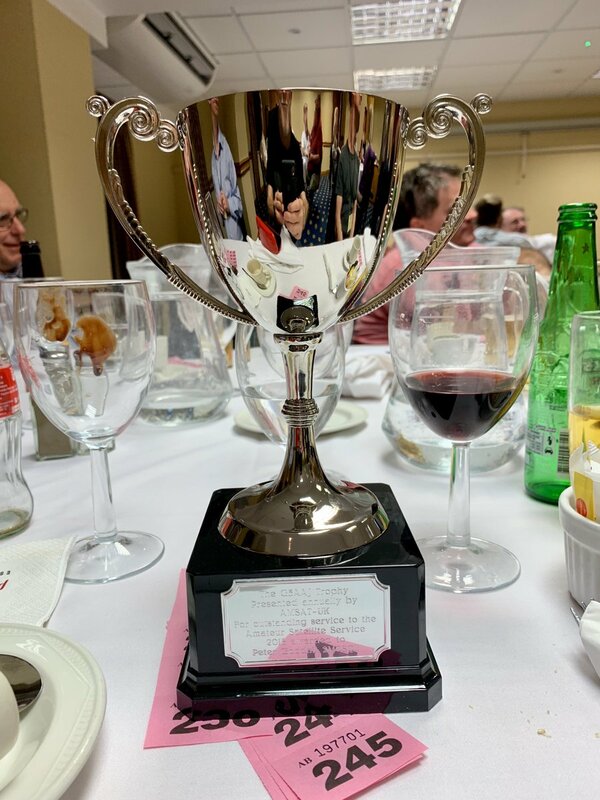 This weekend I was honoured to be awarded the G3AAJ Trophy by AMSAT-UK during their gala dinner at the recent AMSAT-UK Colloquium. This is awarded annually, to the individual (or group of individuals) who have given outstanding service to the amateur radio satellite service. It was a shame to not be able to attend the event due to poor health, but Peter G0ABI accepted it on my behalf.